You are able to clone both a Job and Quote on Job Tracker Professional. This is useful for repeat work or to create a template Job/Quote to copy which then only needs minimal pieces of information added or amended. Either create and save a new job/quote that you want to use as a template, or search for and load the job or quote that you wish to copy. 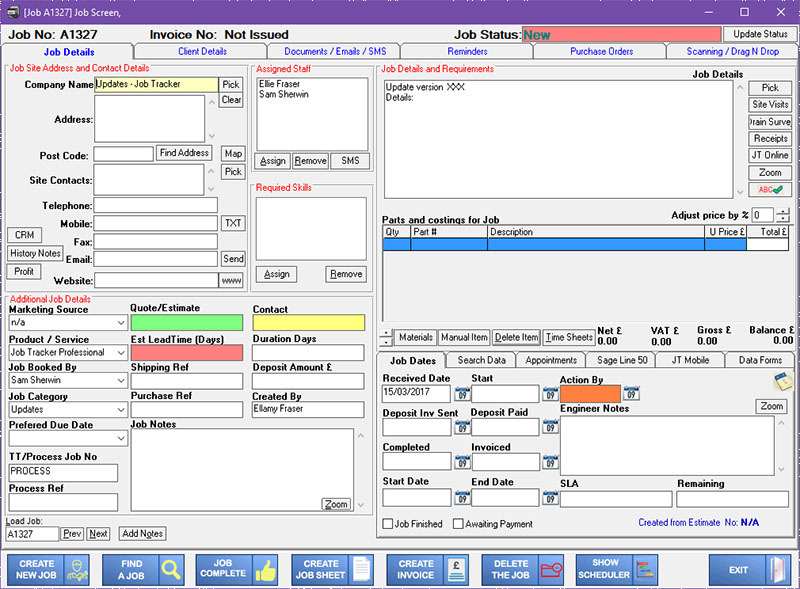 Job/Quote has loaded, hold down the ‘Ctrl’ key on the keyboard and right click on the Job Number, this will be displayed in bold, black writing in the top left-hand side of the page. A pop up will then appear asking you if you would like to clone the job, click yes.